Dennis Crowley: The long road traveled, his journey to success was anything but smooth. 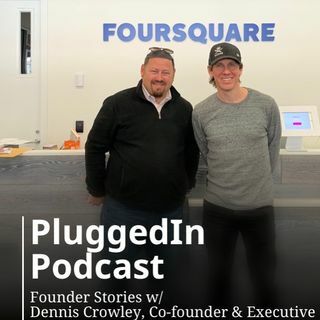 In episode 16, I sat down with Dennis Crowley, co-founder, former CEO, & Executive chairman of Foursquare to talk about the beginnings of his career in tech and how he took his passion of bringing people together into Foursquare. However, before founding the geolocation company in 2009, he had a less than ideal experience selling his previous startup, Dodgeball, to Google in 2005. That experience led to the creation of Foursquare as the leader in geolocation data for enterprises and the fun ... Más informaciones app for consumers and is now used by more than 50 million people every month. - What was the grad thesis project that Dennis write in Syracuse? - Why the lack of infrastructure hurt the first fundraising round? - What advice did Andreessen Horowitz give to Dennis that helped them grow? - How did the pivot into a location data company come to be? - What does Dennis do in his spare time? - What did Dennis want to be at 15? - What hack does Dennis recommend to keep himself organized?